Put the rumor mill to rest: Black Label Society has a new record label. E1 Music has signed the band to its rock and metal roster for an exclusive, two-album North American deal. 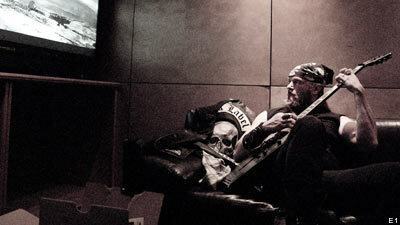 Guitarist Zakk Wylde formed Black Label Society in 1994. In the years since, the band has released seven albums and toured extensively. "Rarely does the opportunity come along to sign an artist as talented, influential and important as Zakk Wylde," E1 Music Vice-President of Metal Scott Givens said in a press statement. "I am thrilled to welcome him to the E1 Music Group. He is the future of our company and all of us are battle ready to go to the wall for him." Black Label Society will release a new album this summer and hit the road in the fall.